Passionate, witty, and brilliant, Opera as Drama has been lauded as one of the most controversial, thought-provoking, and entertaining works of operatic criticism ever written. 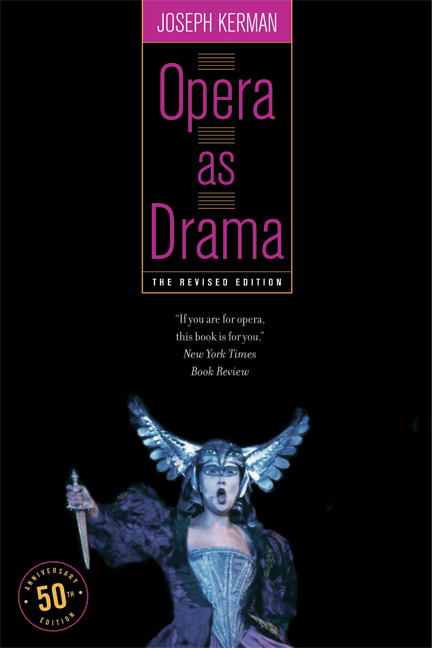 First published in 1956 and revised in 1988, Opera as Drama continues to be indispensable reading for all students and lovers of opera. Joseph Kerman, Professor Emeritus of Music at the University of California, Berkeley, is the author of The Art of Fugue: Bach Fugues for Keyboard, 1715-1750 (California, 2005) among many other books.